Teri Russell can make time fly for her diagnostic imaging patients, thanks to the incredible leaps in technology she has witnessed during her 33-year career operating NorthBay Medical Center’s CT Scanner. Today, a test that took almost an hour in 1982 can take less than 6 seconds in the hospital’s state-of-the-art CT Scanner. Technology this fast is critical when dealing with a trauma, stroke or cardiac patient. 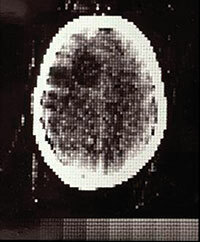 Computed Tomography, or CT for short, was a completely new diagnostic tool when the U.S. Air Force trained Teri to use it. When she left the military, the Minnesota native saw an opening for an x-ray technologist at NorthBay Medical Center and took it. Within a year, the hospital had its first CT Scanner and Teri became the first and only full-time and after hours on-call CT tech. Today, as diagnostic imaging supervisor, she manages a staff of 32 in a department that operates 24 hours a day. NorthBay VacaValley Hospital also offers CT scanning. Teri’s wish for every patient is the same—that in time, everything will turn out OK.
A CT imaging system produces cross-sectional images or “slices” of anatomy, like the slices in a loaf of bread. The cross-sectional images are used for a variety of diagnostic and therapeutic purposes. The early machines took one single slice each time the x-ray beam made a full rotation around the patient. Multi-image scanners were soon developed – thus a 16-slice CT Scanner can take 16 images on each full rotation, while a 256-slice CT Scanner, like the one at NorthBay Medical Center, can take 256 images in one rotation. 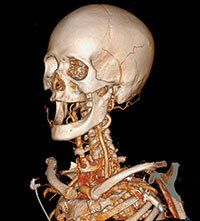 With such fast imaging, the department now performs about 60 scans in a 24-hour day. The department only treats emergency, trauma and inpatients, while outpatient scanning is performed at Solano Diagnostics Imaging. 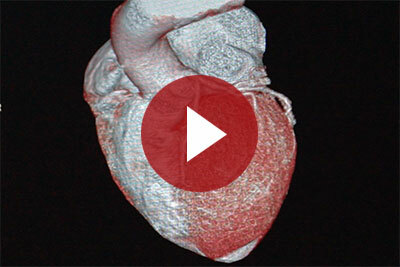 “Patients are amazed at how fast a scan is. They often ask ‘That’s it?’ It has taken longer to get on and off the scanning table than the test itself,” she says. The addition of the trauma center and stroke certification at NorthBay Medical Center has changed life in diagnostic imaging. The fast-paced department is constantly busy. When a trauma code is called, there must be instant access to the CT. Someone from diagnostic imaging calls the Emergency Department to report the CT is ready and available and often patients go right from the ambulance into the CT Scanner. The No. 1 use of the CT is for trauma caused by vehicle accidents, followed by patients with gunshot wounds brought in from as far away as Vallejo, Teri explains. On any given day, diagnostic imaging will see a mix of patients seeking diagnosis for conditions ranging from stroke to broken bones to head trauma. “I’ve seen just about everything, from a hatchet in a head to tumors and broken bones,” she says. Early on, she wasn’t content to just watch the scans, so she asked a radiologist to teach her about what the scans revealed. After more than 30 years, she is a good, if unofficial, diagnostician. “If I see something unusual on a scan, I’ll call the physician and alert him to view the scans right away,” Teri says. Interventional radiology uses the CT scan to direct tumor biopsies and to put drainage tubes into abscesses. A pre-surgery brain scan often aids in neurosurgery. It’s even possible to do CT angiograms as comprehensive as the cardiac catheterization lab. And, the CT uses a very low dose of radiation compared to when it was first developed. Technology may have exploded, but for Teri it’s all about the patient. Teri fondly remembers one stroke patient brought in for a head scan. He couldn’t speak and he was very upset about that. She kept talking to him and telling him everything would turn out OK. Months later, when he had completed therapy, he returned to the hospital with cookies to thank Teri for her care. And he could talk again. This head scan was the best image available in 1982. Look closely and you can find a dark oval tumor in the upper left section. physician rotate the view of the patient.